Congregations face several difficulties in developing a good maintenance program for their buildings and equipment. Changes in property committees, maintenance personnel and clergy disrupt the continuity of maintenance programs. ICE has some suggestions for developing and improving maintenance of buildings and mechanical systems. Energy consumption is often related to maintenance. For example, with poor maintenance, energy consumption of boilers is likely to rise as combustion efficiency decreases. As light fixtures become dirty, higher wattage light bulbs must be installed to maintain light levels. 1. Plan for maintenance, or expect the facility to self-destruct. building components is about 25 years. So, if your facility is worth $2,000,000, you can anticipate maintenance expenses of about $80,000 per year on average. 2. Your problems come from profane space, not sacred space. Think of your facilities as having two types of space. Sacred space includes the nave, sacristies, narthex, classrooms, living space, meeting rooms and so on. Profane space is below and above sacred space and includes boiler rooms, storage space, attics, bell towers and so on. All of your big ticket maintenance problems are going to come from profane space. Carefully planned renovations and expansions are in sacred space. The personnel in sacred space have titles, receive training and wear clean clothes. The personnel in profane space rarely have any of these benefits. Philadelphia Athenaeum. See www.philadelphiabuildings.org. They will give you copies in return. Install it in a high quality, 3″ three-hole binder. Add to that manual sections of information about the building and its systems — prints, specs, reports, invoices. Large drawings and photos can be easily reduced and inserted, often on CDs. Keep the manual up to date — specs on new equipment, repair records/invoices, reports. Never let the original manual be taken from the premises. Read manufactures’ recommendations. If you don’t have those recommendations, request that information from the manufacturers. Put photographs and diagrams in the manual. Particularly take pictures of things visible only when exposed by a shovel, wrecking bar or backhoe. Don’t ignore unusual noises or smells or dimming of lights. They are predictions of future problems. Inspect the mechanical and electrical systems yourself. Then hire an architect, professional engineer, or qualified consultant to appraise the building’s condition. Remember that contractors have biases because they sell and install products. Accompany any inspector as if he or she were your teacher. Take notes or tape record the conversations. Insert inspection reports and photos into the manual. 7. Vary locations of property committee meetings. hold a property committee meeting in a different space – in the boiler room or on a flat roof, for example. 8. Have personnel assist contractors. Call neighboring congregations for recommendations on good contractors. Don’t ask maintenance personnel to do what they are not qualified or trained to do. Wiring is not a “do-it-yourself” task; bad plumbing gets you wet, but electricity burns and kills. 9. Record retiring maintenance personnel as they answer questions about the facility. Ask lots of questions for them to answer. Where are the meters? How often does he do certain tasks? What problems bother him or her most? Which contractors do the best work? What are the best sources for supplies? What supplies work best? What problems are likely to occur in the near future? And so on. Show the videotape or DVD to new personnel. 10. Learn how to maintain your facility. expositions. One free expo is on November 8 and 9, 2006 at the Valley Forge Convention Center in King of Prussia. See www.facilitiesexpo.com. Or register onsite. 11. Energy conservation and good maintenance go hand in hand. 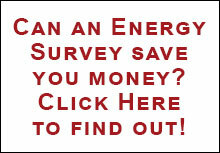 Maintained equipment generally uses less energy. Lower wattage, higher efficiency lights reduces the load on wiring, fuses and breakers, costing less to operate and extending life. Lower temperatures reduce deterioration of boilers and hot water heaters. Lower thermostat settings during vacant periods in the heating season can prolong the life of pipe organs, fibrous materials, and pianos. Turn off heating pilot lights in the summer. Corrosion from pilot lights causes most failures of heat exchange surfaces. Question the need for boiler water treatment. You may need it with steel boilers making low pressure steam but not with cast iron sectional boilers. You probably never need it with hot water boilers. Replace anode rods in water heaters every five years or so. 12. Avoid fixed-fee maintenance contracts. Review existing maintenance contracts, and make the contractors perform. Remember that contractors lose sales with preventive maintenance. Maintenance contracts may be needed for items like elevators and complicated copiers. 13. Conspicuously label all piping and wiring. Correct labeling will assist everyone who assists your congregation — analysts, insurance inspectors, heating contractors, electricians, building inspectors, all interested congregants, new sextons, and so on. Profane space needs to have the same quantity of light, or more, as sacred space. 14. Avoid purchasing “cutting-edge” technology. Avoid the temptation to install the latest gadgets, the newest type of heating or cooling system. Be patient. Procure simple mechanical/electrical systems that have withstood the tests of time. Simpler systems are easier to understand, operate and maintain. Efficient but older technology has many benefits — more contractors can work with the systems, purchase price will be lower with more bids, parts will be more readily available, more maintenance technicians will understand the systems, and the systems will have an evident track record of performance. 15. Develop a list of emergency procedures. Determine how to turn off electric and gas meters in the event of a fire, and water meters in case of a major water leak. We think that members of congregation property committees ought to know certain facts about their buildings. The following list is based on suggestions from several people who work regularly with religious congregations and the buildings they own.